Investments in agricultural land may be essential for achieving food security and promoting economic growth, but what are the potential costs and benefits for local landholders and the environment? Investing in land, and in activities requiring land, occurs around the world. As a broad category, “land and investments” encompasses a wide range of scenarios: investments may be small or large in terms of the amount of money invested and scale of the land acquired. Investments may be undertaken for activities ranging from agriculture or forestry to infrastructure, extractive projects, renewable energy, or even tourism; and may involve a variety of actors, such as local smallholders, national governments, local investors, or foreign corporations, among others. Strong land governance systems and secure land tenure (i.e. the certainty that landholders’ rights to the land will be recognized, protected, and enforceable if challenged by others) can support land users’ sustainable investments in land and agriculture, as well as their ability to make decisions regarding whether to retain or transfer their land rights in the context of incoming investors who seek to use their land. Weak or conflicting land governance systems and insecure tenure, on the other hand, may lead to less sustainable land use, or may create a greater likelihood that legitimate land rights are violated as other land investors move in. While various guidelines and principles explicitly address responsible investment in land and in agriculture, there are still challenges associated with ensuring that land investments respect land rights and human rights, are sensitive to gender and environmentally sustainable, and result in expected benefits rather than conflict. Governments and investors may find that such issues are even more difficult when they constitute “legacy issues” that must be addressed after investments have occurred or operations have been ongoing . And although transparency around large land-based investments is slowly increasing, information regarding such investments often remains inaccessible to those affected and the general public, limiting understanding of their implications and impeding accountability. When land governance systems, whether formal or informal, offer security of tenure to land users, those users may be more likely or able to invest sustainably and productively in their land. For example, farmers with tenure security may be more willing to invest in longer-term improvements to their farm. In general, land users with tenure security are also better positioned when other actors are interested in using their land for investment activities: they can decline to transfer some or all of their rights, or can decide to do so in exchange for compensation, stronger environmental and social protections, and the sharing of other benefits on an ongoing basis as they deem appropriate. Conversely, where land governance systems are weak or conflicting, and when landholders have insecure land rights, land users may be less incentivized to invest sustainably in their land. They are also at greater risk of having their land rights—which may be legitimate but not formalized—violated when investors seek to use the land for other purposes. In such situations, insecure tenure combined with outside investment interests can lead to forced evictions, damaged livelihood strategies, and other land rights violations. Even when land rights are relatively secure, such rights can be threatened when a government is willing to expropriate privately held land in order to make that land available for an investment. Governments generally retain the right to compulsorily acquire land for a public purpose. The extent to which facilitating a private investment is considered to serve a public purpose is debatable, but is generally dealt with in domestic law . In addition, many governments retain rights to subsurface minerals, meaning that investments in extractive industries can pose even greater threats to individuals’ or communities’ rights over surface land. Companies that invest in land, or that have land-related operations in their supply chains, face financial, operational, reputational, and legal risks linked to insecure tenure . This has led to the private sector’s increased awareness of land rights issues, and growing interest among some companies in understanding how to ensure that operations respect land rights . The appropriateness of private sector support for formalizing land rights in contexts where companies seek to undertake investments remains an issue to be grappled with—while this has been recommended by some guidance documents, such efforts could also have detrimental impacts to the extent that they simply enable land transfers away from users with weak bargaining power and limited alternative options. Multiple international instruments and guidance documents shed light on best practices in the context of land investments. Section 12 of the Voluntary Guidelines on the Responsible Governance of Tenure of Land, Fisheries and Forests in the Context of National Food Security (VGGTs), for example, focuses specifically on investments, including those undertaken by smallholders as well as investments in land that encompass land rights transactions. The VGGTs note that, among other things “[r]esponsible investments should do no harm, safeguard against dispossession of legitimate tenure right holders and environmental damage, and should respect human rights” (Section 12.4), and suggest that governments “should consider promoting a range of production and investment models that do not result in the large-scale transfer of tenure rights to investors, and should encourage partnerships with local tenure right holders” (Section 12.6). More generally, the VGGTs underline that governments should recognize, respect and safeguard legitimate tenure rights (Section 3.1.1), and that companies also have a responsibility to respect human rights and legitimate tenure rights (Section 3.2). The Principles for Responsible Investment in Agriculture and Food Systems, also adopted by the Committee on World Food Security, use the exact same language to affirm that responsible investment, establishing that states “should safeguard against dispossession of legitimate tenure rights and environmental damage” . In addition, African Union Member States have developed Guiding Principles on Large Scale Land Based Investments, which provide and elaborate on a set of specific fundamental principles that require, among other things, respect of existing customarily-defined land rights and of women’s land rights . Principles developed by UN human rights experts, interpreting international human rights law, also provide relevant guidance for land investments. These include, for example, Large-scale land acquisitions and leases: A set of core principles and measures to address the human rights challenge  (developed by the UN Special Rapporteur on the right to food) and the Basic Principles and Guidelines on Development-Based Evictions and Displacement  (developed by the UN Special Rapporteur on the right to adequate housing). While the Sustainable Development Goals adopted by UN member states in 2015 do not explicitly mention land investments, they do provide important guidance that host governments, investors, and others should incorporate into their planning and activities related to such investments. SDG Indicator 1.4.2, which specifically measures tenure security, can be viewed as particularly important in contexts where large-scale land investments may occur . Other documents developed through multi-stakeholder processes to promote more responsible land or agricultural investments include the OECD-FAO Guidance for Responsible Agricultural Supply Chains (2016) and the Interlaken Group’s Guide for Companies on Respecting Land & Forest Rights . Technical agencies and bilateral donor agencies have also weighed in with their own guidance . Host governments continue to pursue land investments for a range of reasons. Incoming foreign direct investment (FDI), for example, can bring capital, jobs, technology and knowledge transfer, and infrastructure development. For some low-income but resource-rich countries, resource development is seen as an important component of national strategies for economic growth. A shift to a low-carbon future may also require new types of land investments in many countries. In some places, communities located near potential land investments may also be interested in the potential benefits that such investments can bring. Yet ensuring that investments provide their expected benefits is not easy. For example, although employment has been one of the primary anticipated benefits of many land investments for agricultural projects, the number of jobs created is sometimes much lower than expected, and, of the jobs created in practice, many are precarious and low-paying. Accordingly, the net livelihood impacts of land investments for agriculture could actually be negative when livelihood displacement is considered . Similarly, while some research has found that FDI in the agricultural sector can strengthen food security within a host state, others have concluded that primary-sector FDI, such as investments in land and agriculture, reduces food security . At the very least, improved food security from such investment may require a stronger regulatory approach than is possible in weak governance contexts . Of course, the impacts of a land investment result in large part from how it is structured, implemented, governed, and monitored. At a project level, many investments may result in both positive and adverse impacts . Communities and land users who negotiate directly with investors may also struggle to ensure that their expected benefits materialize. A review of community-investor agreements found that many of the benefits promised to communities are written in vague, caveated, or potentially unenforceable language . The potential for exploitative agreements is so high that civil society organizations like the Sustainable Development Institute in Liberia have created early warning systems to help communities access legal and other support once approached by investors . Aside from the question of benefits, stakeholders—including investors, host and home governments, and communities—also confront challenges in ensuring that land investments meet the standards set out in the guidelines and principles described above. While some pilot efforts are being undertaken to apply specific guidance to specific projects , these are currently exceptions rather than the norm. Responsible land investment has many dimensions; particular challenges may arise for investors, governments, communities, and other stakeholders in ensuring that investments’ impacts and benefits are gender-sensitive , respect land rights and human rights , and are environmentally sustainable, including being both sensitive to water impacts  and compatible with climate change goals . When investments do not adequately address these issues and do not result in expected benefits, grievances , and even conflict , are likely to arise. Addressing such issues for ongoing projects can be even more difficult than getting them right from the outset. Investors, for example, may face a range of “legacy land issues” that flow from activities undertaken before they acquired a specific operation . Such situations require strong due diligence, and can raise many complicated questions regarding how to address concerns . Host governments, meanwhile, may find themselves at risk of legal liability when addressing the grievances of land users affected by land investments . Publicly available information regarding large-scale land investments remains limited. While important steps have been made in the extractives sector regarding revenue and contract transparency, similar information in the context of agricultural and forestry investments is less often available  . This lack of transparency limits good governance efforts, can impede accountability, and can contribute to greater risks of conflict. It also creates a missed opportunity to more accurately assess the implications of such investments, and to improve future deals . To date, greater transparency around large land investments has mostly resulted from initiatives undertaken by external stakeholders. For example, the Land Matrix is an online public database of land deals that collects information about large-scale land acquisitions in low and middle-income countries . OpenLandContracts.org is an online repository of publicly available investor-state contracts for land, agriculture, and forestry projects . Global Forest Watch, meanwhile, provides information and alerts about the status of forested areas . Yet essentially all major guidelines and principles focused on responsible land and agriculture investments urge greater transparency of land investments, including disclosure of contracts or their terms . This suggests that investors and host governments could do much more to provide greater transparency around land investments and the agreements governing them. While such transparency could provide important benefits, it should be coupled with more participatory processes in the phases before land investments are approved and implemented to ensure that the rights and perspectives of land users and local communities are appropriately taken into account. Lowder, S., Carisma, B., and Skoet, J. 2012. Who invests in agriculture and home much? EAS Working paper No. 12-09. Available at: http://www.fao.org/3/a-ap854e.pdf. Cotula, L., Berger, T., 2016. Legacy land issues: Addressing historical disputes in agribusiness investments. LEGEND briefing. Available at: http://pubs.iied.org/X00168/. Cordes, K., Johnson, L. and Szoke-Burke, S. 2016. Land Deal Dilemmas: Grievances, Human Rights and Investor Protections, p. 27. Columbia Center for Sustainable Development (CCSI): New York. Available at: http://ccsi.columbia.edu/files/2016/03/CCSI_Land-deal-dilemmas.pdf. Cordes, K. 2016. Comment on modernizing business and financial disclosure requirements in Regulation. CCSI: New York. Available at: http://ccsi.columbia.edu/files/2016/07/SEC-Submission-from-CCSI-July-21.... The Munden Project and Rights and Resources Initiative (RRI). 2012. 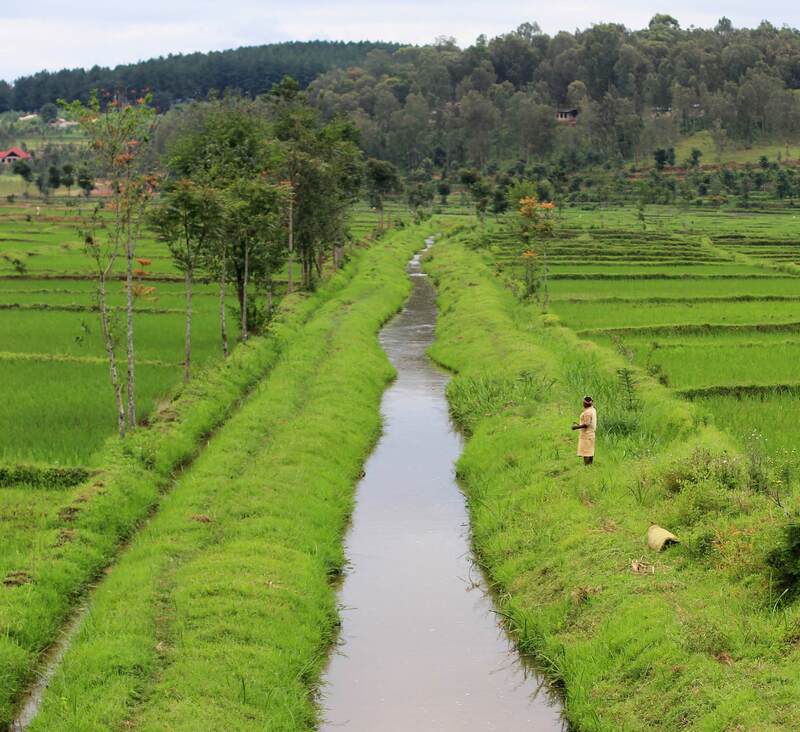 The Finacial Risks of Insecure Land Tenure: An Investment View. RRI: Washington, DC. Available at: http://rightsandresources.org/wp-content/uploads/2014/01/doc_5715.pdf. Interlaken Group and RRI. Respecting Land and Forest Rights: Risks, Opportunties, and Guide for Companies. RRI: Washingont, DC. Available at: http://www.interlakengroup.org/resources. Committee on World Food Security. 2014. Principles for Responsible Investment in Agriculture and Food Systems. Available at: http://www.fao.org/3/a-au866e.pdf. African Union. 2014. Guiding Principles on Large Scale Land Based Investments in Africa. Available at: https://goo.gl/tMnzuu. Schutter, O. 2009. Large-scale land acquisitions and leases: A set of core principles and measures to address the human rights challenge. UN Special Rapporteur on the right to food. Available at: http://www2.ohchr.org/english/issues/food/docs/BriefingNotelandgrab.pdf. Cordes, K. and Sachs, J. 2015. Measuring Land Rights for a Sustainable Future. CCSI: New York. Available at: https://goo.gl/NnlAtX. Organisation for Economic Co-operation and Development (OECD). OECD- FAO Guidance fo Responsible Agricultural Supply Chains. OECD: Paris. Available at: http://mneguidelines.oecd.org/OECD-FAO-Guidance.pdf; Interlaken Group and RRI, 2015. New Alliance for Food Security and Nutrition. 2015. Analytical Framework for Land-Based Investments in African Agriculture: Due Diligence and Risk Management for Land-Based Investments in Agriculture. Available at: https://goo.gl/z74J4K; United States Agency for International Development (USAID). 2015., Operational Guidelines for Responsible Land-Based Investment (2015). Available at: https://goo.gl/HZYwFY ; FAO. 2015. Safeguarding land tenure rights in the context of agricultural investment. Available at: http://www.fao.org/3/a-i4998e.pdf ; Technical committee on Land Tenure and Development. 2014. Guide to Due Diligence of Agribusiness Projects that Affect Land and Property Rights. Available at: https://goo.gl/PwYSNH. CCSI. 2016. Employment from Mining and Agricultural Investments: How Much Myth, How much Reality. CCSI: New York. Available at: http://ccsi.columbia.edu/files/2016/07/Jobs-Paper-Aug-2.pdf. Slimane, M., Huchet-Bourdon, M. & Zitouna, H. The Role of Sectoral FDI in Promoting Agricultural Production and Improving Food Security. International Economics, 145, pp. 50-65. Mihalache-O’Keef, A. and Li, Q. 2011. Modernization vs. Dependency Revisited: Effects of Foreign Direct Investment on Food Security in Less Developed Countries, 55 International Studies Quarterly 55(1), pp. 71-93. Häberli, C. and Smith, F. 2014. Food Security and Agri-Foreign Direct Investment in Weak States: Finding the Governance Gap to Avoid ‘Land Grab’. 77(2) . Modern Law Review 189, Vol. 77, Issue 2, pp. 155-342. World Bank. The Practice of Responsible Investment Principles in Larger-Scale Agricultural Investments: Implications for Corporate Performance and Impact on Local Communities, p. xvi. Available at: https://goo.gl/TMcSOV. CCSI. Forthcoming. Is this Really Benefit Sharing? Understanding Current Practices Around Community-Investor Agreements Tied to Land Investments. Cotula, L. 2014. Addressing the Human Rights Impacts of ‘Land Grabbing’. European Parliament Policy Department: Brussels. Available at: http://www.europarl.europa.eu/RegData/etudes/STUD/2014/534984/EXPO_STU(2014)534984_EN.pdf. Dubois, K., Chen, Z., Kanamaru, H. Seeberg-Elverfeldt.2012. Incorporating climate change considerations into agricultural investment programmes. FAO Investment Centre. Availabler at: http://www.fao.org/docrep/016/i2778e/i2778e.pdf. CDC Group, KFW DEG. A guidance note on managing legacy land issues in agribusiness investments. CDC: London. http://toolkit.cdcgroup.com/assets/uploads/CDC_Land_Legacy.pdf. Free negotiations between right holders and investors measured on a scale from A - which stands for good practices - to D - reflecting weak practices. This indicator measures total natural resources rents as a share of the gross domestic product (GDP) of a given country. This indicator asks whether national laws provides alternative approaches to the fair market value approach in cases where land markets are weak or non-existent. Investments selected openly on economic, socio-cultural and environmental basis measured on a scale from A - which stands for good practices - to D - reflecting weak practices.